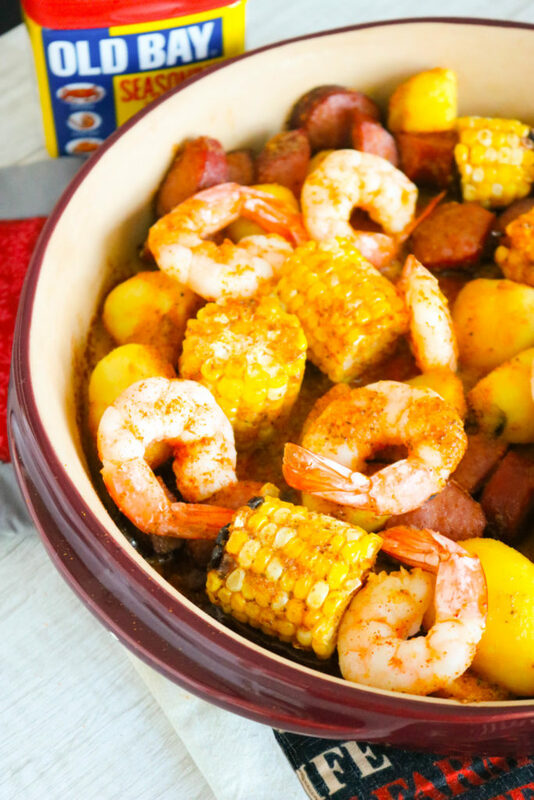 This Low Country Bake has all of the classic flavors of a Low Country Boil but it’s baked in the oven and done in about 30 minutes! 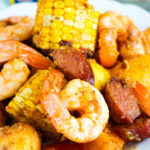 Have you ever had Low Country Boil? 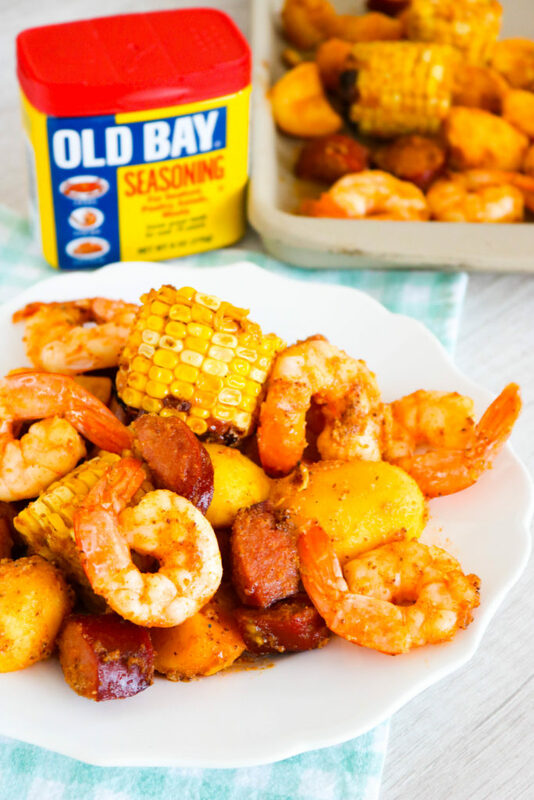 It’s a glorious spread of shrimp, corn, potatoes and sausage coins that’s been boiled in seasonings and Old Bay! 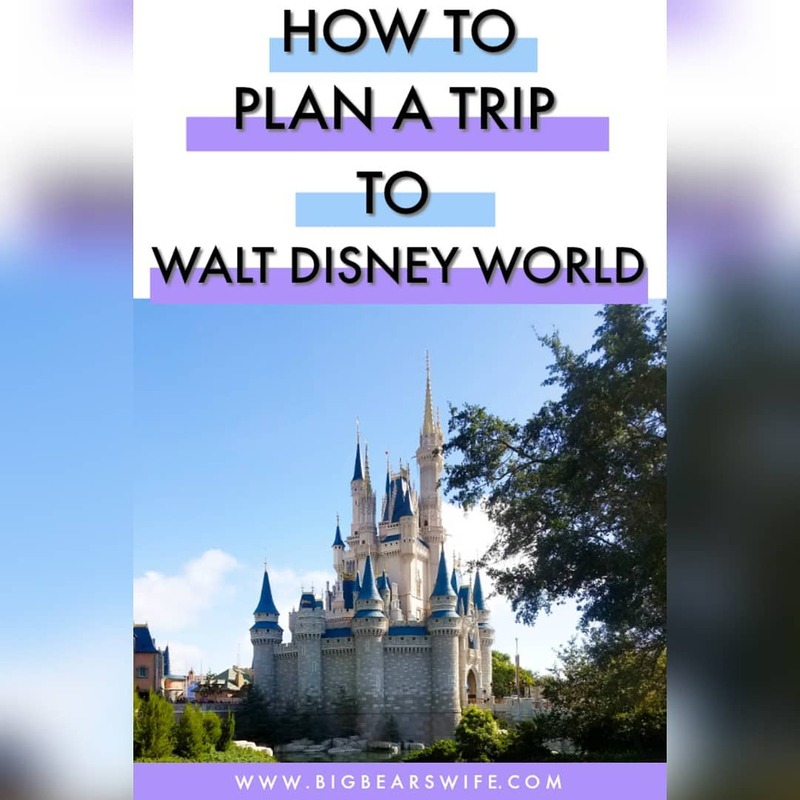 After you make it, you just drain it and dump everything out onto a plate or newspaper and dig in! 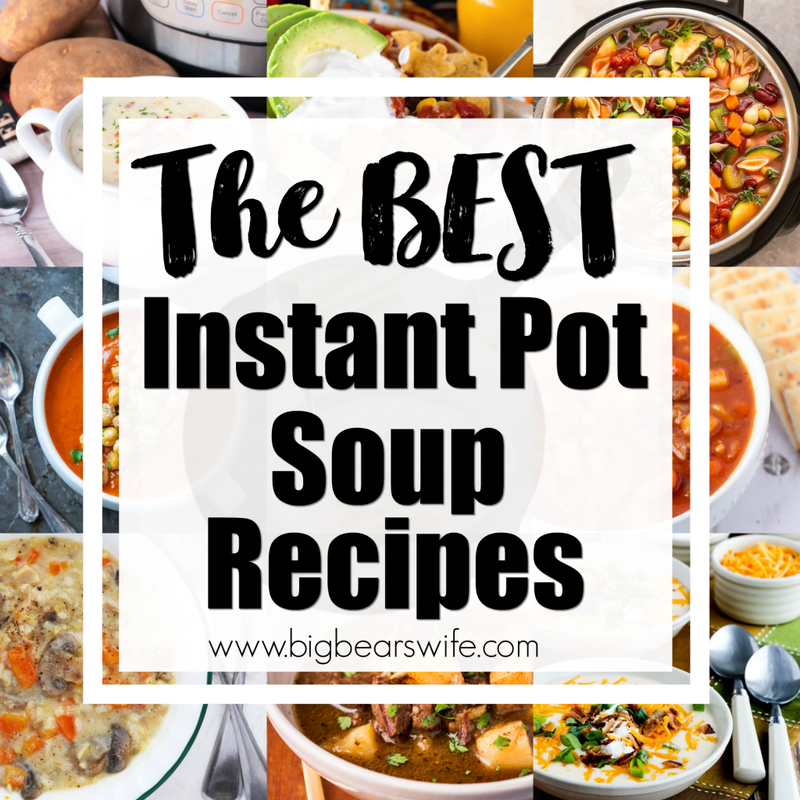 It’s so good but takes a little time to get everything together and cooked up. 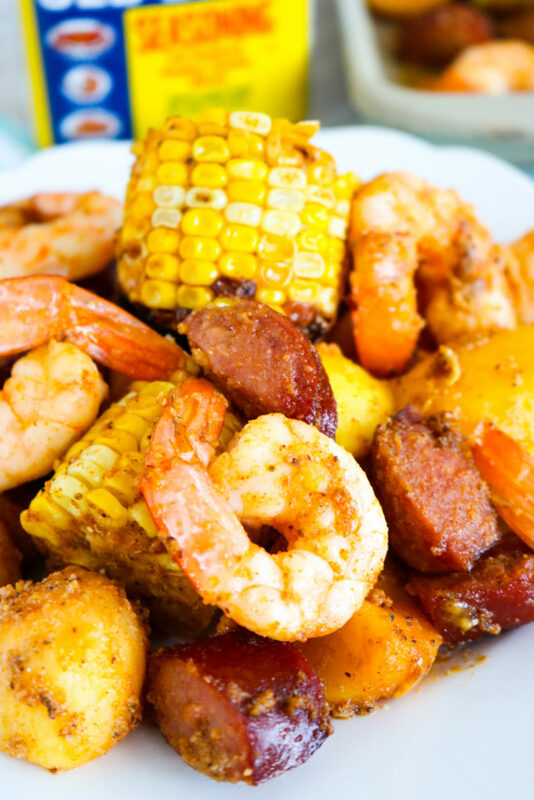 So the other night I was thinking about making Low Country Boil for dinner but I really wanted something that I could just pop into the oven since I had a little guy to tend to and didn’t want to be chained to the stove and a boiling pot of food. That’s when I decided to make a baked version! I’m not going to lie y’all, I actually think that I might love this Low Country Bake more than the Low Country boiled version! 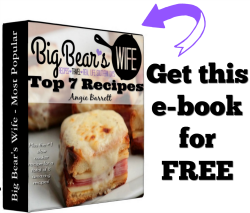 The flavors are fantastic and it’s easy to mix together and pop into the oven to bake. 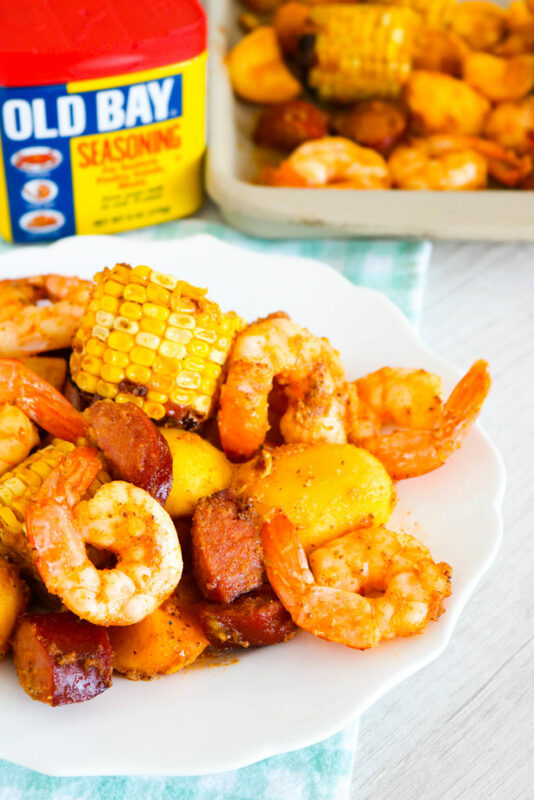 I love sheet pan meals so this was kind of my take on turning the Low Country Boil into the sheet pan version. I’ve baked this in a casserole dish and on a rimmed baking sheet and both ways work perfectly. Just make sure that if you use a baking sheet that you have one with edges because you don’t want the butter to melt and run off the sheet and into the bottom of your oven while it’s baking. 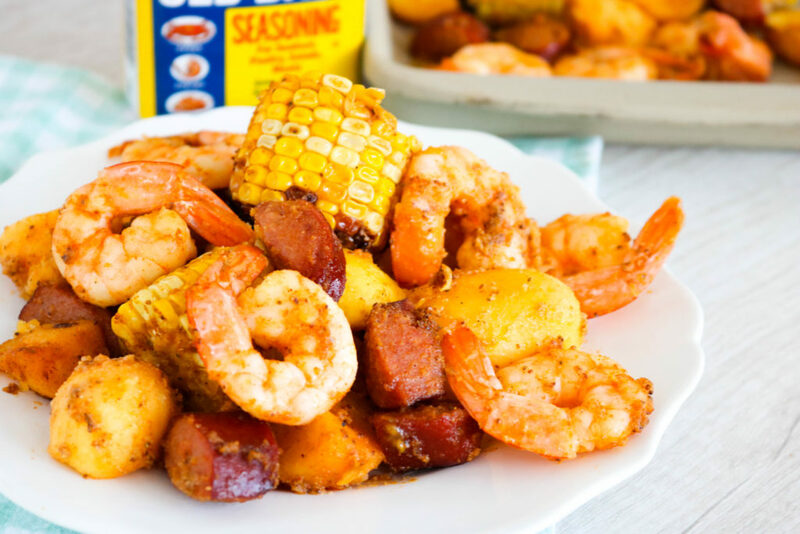 Now when you make this, you can serve it up on plates or dump it out onto newspaper just like you would a normal Low Country Boil but I normally opt for plates haha. Also, forks are optional when it comes to Low Country Bakes, fingers and napkins are what we go for when chowing down on this meal for dinner. In a bowl, wisk together 1/2 cup melted butter, 1 tablespoon garlic poweder and 1 tablespoon Old Bay. 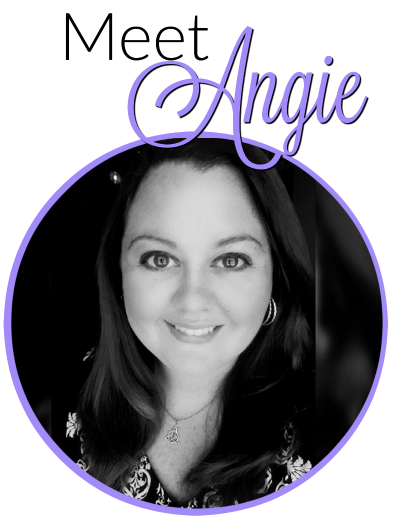 In an oven safe dish, combine the frozen diced potatoes, corn cob pieces and andouille sausage coins. Pour on butter and toss to coat everything. Bake in the preheated oven at 425F for 18 minutes. Next, in a bowl, toss the shrimp with the remaining butter, garlic powder and Old Bay. Add shimp to top of potato, corn and sausage. 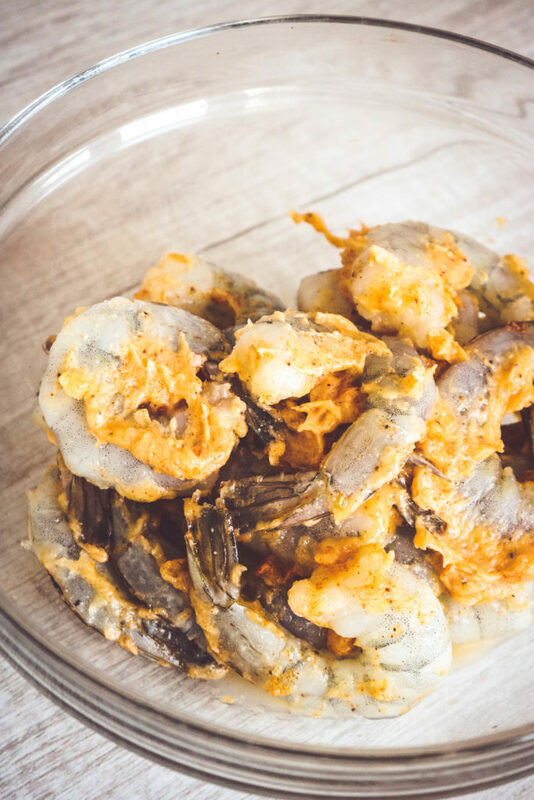 Bake for 5-7 minutes or until shrimp or done. How many does this feed? Looks awesome. After you add the shrimp the corn continues to bake in the oven with the shrimp so in total the corn bakes doe about 25 minutes and yes it’s enough time. 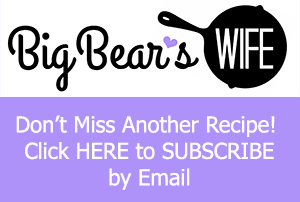 (if it wasn’t, I wouldn’t have written it like that haha) – I bet the small frozen ears would work, but I haven’t tried them out so I’m not sure if cooking time needs to be adjusted for that.